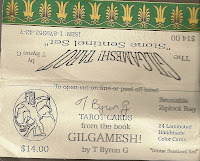 The Gilgamesh! Tarot is a limited edition of 800 decks. 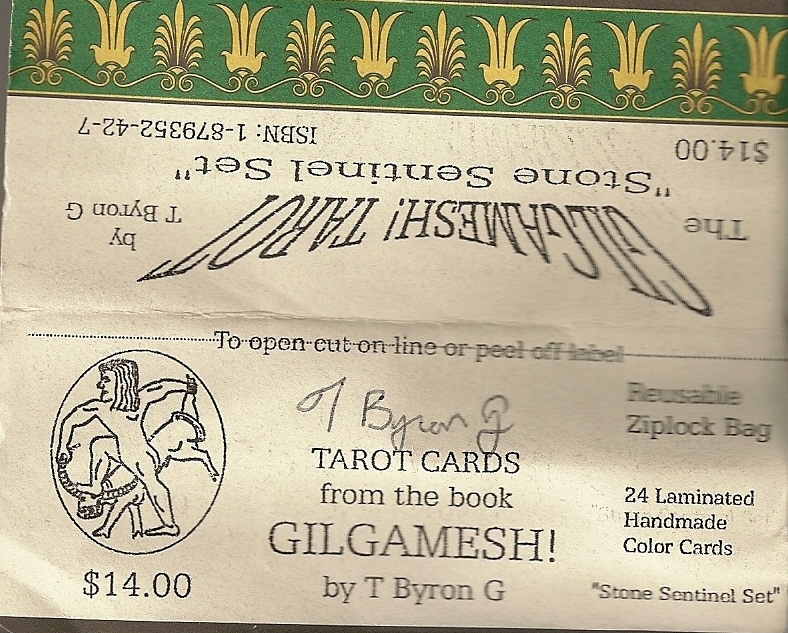 The title has no connection to the Sumerian Gilgamesh myth but refers to Byron's novel Gilgamesh! Each deck is handmade and there are versions with five different backs, mine is the "Stone Sentinel", the others are "Seal-Ring", "Floating Flower", "Christal Ball" and "Civilized Insect". The sets are identical except for the backs of the cards. 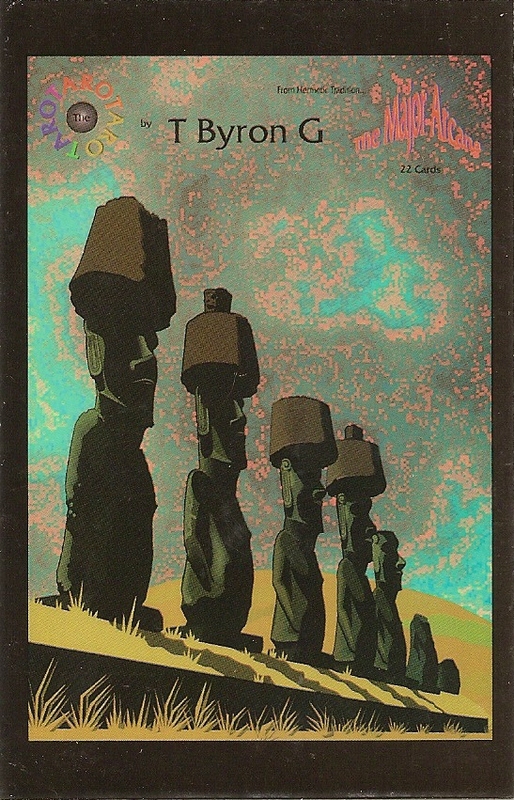 The Fool is numbered as 21 and The World 22. 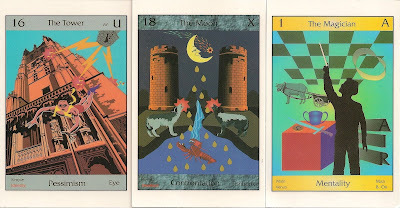 The cards have subtitles reflecting the meaning of the image. The backs are oil paintings, the front images are computer designed. There are two extra cards, a "Tree of Life Card" and the title card. The deck came in a plastic sleeve with a signed label.